of Philadelphia and The Southern California Institute of California (SCI Arc). Originally trained as an Architect, he believes this training has enabled him to bring a unique perspective to his other creative outlet, Photography. Fred pursued his interest in Photography throughout his Architecture career while designing stores for Guess? Inc., BCBG and becoming Director of Architecture at Starwood Hotels and Resorts in New York in 2001. 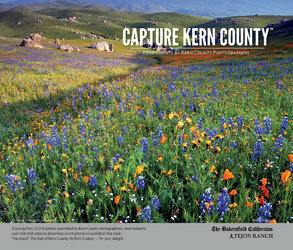 Since 2007 he has been exhibited at Metro Galleries in Kern County, Ca., currently displayed at FrontEnd Holdings Corporation and has been published in the "Capture Kern County" book by the Bakersfield Californian Newspaper showcasing local Photographers. He currently splits his time between Los Angeles and Bakersfield, Ca.